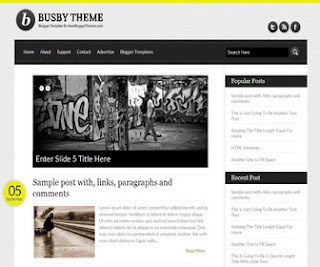 Busby free Blogger Template is a clean personal blogging template with it is own choices panel built with the Up template framework. I have also been working on this for a while now, it is quite another experience constructing a template that may be released publicly rather than one for my own or client's use. There are plenty more things to take into consideration and lots more testing to do.